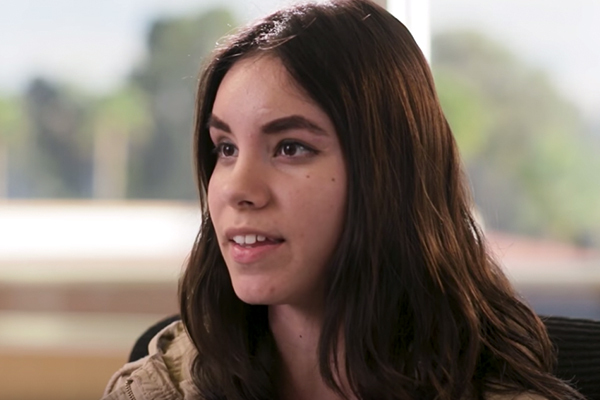 A Hunsaker Scholar from Santa Cruz, California, Martinez says that the first thing she noticed about the University of Redlands campus was the sense of community. “The student who hosted me during the visiting weekend introduced me to her friends and showed me what life was like as a student; I instantly saw myself as a part of the community,” she says. It was Global Business Professor Jack Osborn who encouraged Martinez to become a global business major instead of focusing in a science, technology, engineering, and math (STEM) area. After taking a few business courses, she received the Finance Award and a grant from the Jordan A. Korinke Memorial Endowment for Experiential Learning, giving her the opportunity to spend nine intensive weeks studying finance at the London School of Economics—a highlight of Martinez’s educational experience. Her time across the pond motivated Martinez to seize another study abroad opportunity—this time in China and Japan for a year. “I’m hoping that experience will help me decide if I want to work domestically or abroad after I graduate,” she says.